MORE AND MORE AVIATION EXPERTS are now saying that it was highly unlikely that barely novice-grade Arab ‘pilots’ could expertly maneuver the 9/11 jetliners into the World Trade Towers on September 11 2001. Instead, because of advance aviation technology, experts are contending that the 9/11 airplanes were guided by remote control. “Global Hawk is the world’s most advanced unmanned aerial vehicle and holds the World Record of 31 hours for an unmanned flight. It has over 1000 total flight hours with four operational aircraft. On 22 April 2001, Global Hawk flew non-stop and unmanned from Edwards Air Force Base in California to Edinburgh RAAF Base, South Australia. Global Hawk returned unmanned to Edwards Air Force Base, California on 7 June 2001″ Here. On January 23 2008, BBC published a corroborating article regarding the use of unmanned robot planes used by the US & UK military for “scientific” use. The question now is what happened to the pilots & the passengers on the two airplanes, American Airlines Flight 11, & United Airlines Flight 175? 9/11 experts are contending that the pilots’ controls were wiped out by Electro Magnetic Pulse technology (EMP) that can disable on-board flight controls of targeted aircraft at command. To add insult to injury, (3000 9/11 victims murdered), the US had already developed a method in the 1970’s whereby they could rescue hijacked planes by intervening into the automatic pilot system. Why didn’t NORAD use this method of intervention on 9/11? “WERE DIFFERENT PLANES USED in the WTC strikes?” many are now asking. Evidence of a difference in the fuselage size and the plane nose of United Airlines Flight 175 proves that a different airplane was utilized as a guided missile — whose target was the South Tower of the World Trade Center. THE RENOWNED POLITICAL ANALYIST, Webster Tarpley, recently brought to light the political connection between presidential candidate, Barack Obama, & David Rockefeller’s favorite foreign policy advisor, Zbigniew Brzezinski. Tarpley informs us that Brzezinski has been advising Obama since March of 2008. “Brzezinski, the mad dog, as advisor to President Jimmy Carter, campaigned for the exclusive right of the US to seize all the raw materials of the world, especially oil and gas. The events of 9/11 fit perfectly within the scope of the operations of the CIA intelligence agency and the US military-industrial-complex. Justified by the events of 9/11, huge raw material reserves of the former Soviet Union nations and pipeline routes are now at their disposal” Here. The Mossad, Israel’s version of the CIA, works very closely with the CIA and the US military/industrial complex. This was recently evidenced by Russia’s accusation that Israel played a central role in training Georgian troops for the invasion of S.Ossetia. Please Christ, rescue us from the Zionist murderers and stop them! Amen. PLEASE DEAR GOD, LET THIS MADNESS OF MAD MEN END TODAY! The world cannot and should not tolerate this type of madness from a few at the top. God help us! Please come rescue us sinners from all of this man-made madness. Using our terror to undermine the whole U.S. If both candidates are owned, brother tell me where is the hope? I believe HE will rescue us only after our character and spirit’s are tempered and refined and purified. How is this accomplished?, I believe the physical sciences(these are logical and are of their CREATOR) can be used as an answer to our spiritual quandry(s): Just as steel is melted and purified in a blast furnace under heat and pressure- the impurities rise to the top to be sloughed off, the same process occurs to black carbon and the end result is a diamond-a flawless one if all the carbon is “converted”. I think this is the only way we can be “finalized” for the arrival of our KING JESUS CHRIST-through these tribulations for any other way will not reveal our true character or spirit except in the middle of these satanic-zionist driven troubles. we will then be worthy in spirit and character to be counted HIS children , and yes even though we are born-again, i believe this is an essential part of our “conversion”. therefore with this belief, there can be no “rapture” and a whole lot of weekend christians are going to be really surprised. The WORD says for us to not worry, to continue in our daily responsibilities even amidst the strife, and when that day is wanted to be shortened by the king of darkness-then will GOD step forward and finish HIS plan- we must remain patient and faithful. Thanks for another informational article my brother Nathanial. There are 3 totally unanswered questions that that, if answered correctly and properly. will bring the 911 savage mystery to a close. 1. Who bought the 36,700 put contracts on the stock exchange in American Airlines, United Airlines and the insurance companies? I cant think of anybody but a talmudist zionist jew who thinks of all others as cattle scum goy who could bathe in the blood profits of the murdered goy of New York city. Lets have the names!! Get the securities and exchange commission to force the brokerage concerns to release the names of clients who participated in this murderous bloodbath! 2. Subpeona Larry Silverstein. This largest profiteer in the murderous bloodbath should be intensively grilled on all matters pertaining to this savage tragedy including his low-bid acquisition of the towers and his double indemnity insurance profits acquired just seven weeks before 911! This zionist jew was not even called before the 911 commision but was protected in this zionist conspiracy by the zionist jew at the top Philip Zelikow. This not simple stupidity but a zionist conspiracy! 3. Let the new and independent commision get all of the relevant facts about Urban Moving Systems, their SBA approved loan to crank up operations, their owner fleeing to israel the day after the attacks, their 5 employees dancing in glee and exclamation for their murderous victory in this bloodbath. And how the zionist jew Michael Chertoff, in charge of our “homeland security” arranged for their release after being under arrest for 70 days without trial or explanation and shipped off to israel!! These 3 items are VERY relevant and the American prople, and especially those in New York city deserve justice and answers!! What a good reading for those who are tirsty for truth. the poem by the orthodox Russian was marvelous. Keep up the good work! your facts and rhythm are emphatic—-THANKS! During world war two the american people was told that Hitler was going to invade America via Canada with parachute troops and that Hitler was going to invade America via Mexico. Neither way was physical possible. It could simply not be done for a number of reason, but most people don’t have the knowledge and that is why the public buy this scare warmongering propaganda. Then they are told that we have to invade Hitler over there before he get’s over here. And next America was off to make “The world safe for democracy”. All you have to understand the difficulties involved is you take americas buildup in England and reverse it. Three million soldier plus equipment and years of buildup. Under no cirumstance could Hitler done the same. One major factor why this scare the crap out of people warmongering propaganda is that most people don’t understand distance. Get a globe and look at it. You can start at English Channel, 35 km, 22 miles at it’s narrowest, it’s a ditch. Over this ditch were the world first unmanned missile launched, V1 and then V2. It looks pretty easy, only 22 miles, 35 km and just launch the missile? It’s not easy, the simple fact is that just to shoot over this tiny ditch called English Channel - and hitting the target is incredibly difficult. If you have a rifle and want to hit a spot at 200 meters, 200 yards, the bullet will fall, that is compensated for in the crosshairs from factory. If there is zero wind, you will hit the spot, but if there is the slightest wind, you will miss. Look at the smoke from the towers 911, it’s only a little bitty wind, if you shoot at 200, m, yard and do not compensate for that wind you will miss the spot a meter, a yard or so. And that is only at 200 m, yard. The V1 and V2 had to go 35 km, 22 miles. We are repetitious being told that this or that state now has missiles and more or less can hit anywher in the whole world, scare mongering. A couple year ago an America hating communist told whit great joy that from now on North Korea could hit America with missiles, NK had just launched it’s first missile. I told him to look at a globe and just look at the Pacific Ocean. First of all you need a really big missile just to make it over the Pacific Ocean. To guide a missile you must have satellite, NK have no satellite. Even if NK could build and launch a missile that could cross the Pacific Ocen, it would hit anywhere from North Pole to Chile. GPS, Global Positioning System can say to the meter, yard where you are on the earth. To do that you need at least three satillets to triangulate the exact position. Theoretical you can now guide a missile over long distance, but that easier said than done. Was the 911 WTC planes remote controled? If you look at the first plane that hit WTC you will see that it was heading straight on course, just like a missile would do. A satelitte controlled missile would be constantly adjusted for wind and so on. If you look at the second plane it makes a rather sharp turn before it hits the tower. Missiles can do that, but it don’t make sense. Who or what flew those planes dosen’t matter, explosivs in the towers or not dosen’t either matter. The only thing that matters is: Why diden’t US Air force intercept those planes in the first fifteen minutes after the first plane made a u-turn? What did we have after 911? Scare warmongering propaganda. He The New Hitler is comming and we have to go over there and get him. It’s just the same jewmafia scam all over again. Why do we keep buying this b.s. propaganda? Because we are ignorant and scared. What really should have happend 911 is that jet figther should be airborne two minutes after the first airliner made that u-turn and that all the planes should been shot down. What happend after the first fifteen minutes is of no interest. Nothing would have happend to the towers if US Air force had not been sabotaged that day. One major factor why this scare the crap out of people warmongering propaganda works is that most people don’t understand distance. Was the 911 WTC planes remote controlled? If you look at the first plane that hit WTC you will see that it was heading straight on course, just like a missile would do. A satelitte controlled missile would be constantly adjusted for wind and so on. Who or what flew those planes dosen’t matter, explosivs in the towers or not dosen’t matter either. The only thing that matters is: Why diden’t US Air force intercept those planes in the first fifteen minutes after the first plane made a u-turn? Animated active map over 911 planes. Thank you for the gift. I will *indeed* pray for you. And do keep me in your holy prayers, please. I would like to expand my Street Evangelism abroad. I would like to visit all the major cities in Europe. And then on to the Balkans, Poland, and the Baltic states above Poland. You would have to be pretty brave to tour Bosnia and Kosovo spreading the christain word. I dont think you’ll get a good reception in Poland and the Baltic states being a RUSSIAN orthodox christain. No, you are wrong. The Street Evangelism I conduct transcends not only all “belief-system” lines, but “secular-system” lines as well. Controller Robin Hordon video from 9/11 documentary Zero shown on Russian TV. I recommend you watch the whole documentary as it is the best 9/11 documentary I’ve seen. I think it was a fighter jet that slammmed into the Pentagon if you look at the video of the frames of the crash you see white thruster cloud you get from a jet. I would be careful visiting Kosovo as you know 700+ churches have been burnt to the ground by state affiliated goons. Have you ever tried going to Israel? It would be interesting to see how they would respond to you? Google Dov Zakheim and 9/11. A CEO of System Planning, a corporation which makes remote controls for really big planes, like the ones used on 9/11. Also, $2.3 trillion went missing from the Pentagon under his comptrollership. Plane (or missile) which hit the Pentagon on 9/11 hit the accounting department. Rumsfeld publicly announced the missing trillions on 9/10/2001, the same day Securacom’s contract for providing security for the WTC complex expired. The princpals for that corporation were Bush’s brother and cousin. Another great job by Bro’ Nate. Thank you man. I mean, bringing complex issues to the readers who have busy days, so they can digest some valuable news nuggets without having to read through all the 911 technical stuff. Note also that hundreds of Archetects and Engineers, and numerous such students now call for an honest investigation of 911 (bombs in the buildings!). I would just add that debunking the “HOLOCAUST” is an important if not key point in dismantling Jewish Power. By now the word is out that the Holocaust as it is known: preplanned extermination of European Jewry; 6 million murdered Jews; homocidal gas chambers are all at best unproven to be true, as in points one and two, and outright impossible as in point three. The Hoaxacost must be debunked if for no other reason than to help our friend Fredrick Tobin be released from prison! Looking again at symbols in this article gave me a revelation to share with others: the hexagram symbol aka/star of david is nothing more than the el-cornuto signal but disguised so the goyim wont recognize it. This symbol takes form as the opposing arms(one up the other down) of the baphomet, this is also seen in the “hookem horns hand sign(2 outer finger up, 2 inner fingers down) and lastly in the star of david as one triangle pointing up as seen on the dollar bill and one pointing down, within each other) what do these symbols mean?- “as above, so below, the moniker of the illuminati, the elite, and all followers of lucifer,satan, the devil. They make it a point to arrogantly rub it in our faces because they think we the “goyim” are too stupid to know their physical symbolism is a further manifestation of the evil which controls our world- if we free our mind(through education)and spirit, our bodies will follow! Zionism is nothing more than the hidden religion of the anti-christ. The Holy Polish Autocephalous Orthodox Church is one of the fifteen „authocephalous” Churches which jointly comprise the one universal Orthodox Church. The Holy Polish Autocephalous Orthodox Church (or simply Polish Orthodox Church) gained its autocephalous status from the Ecumenical Patriarchate of Constantinople in 1924, however, the Orthodox Church has been indigionous to Poland and its border regions of Galicia, Bielorussia and Lithuania since the IXth century of the Christian Era. The Ecumenical Patriarch of Constantinople, Saint Fotios I the Great (858-877) sent Saints Cyril and Methodios as missionaries to evangelize the Slavs. Their mission reached Poland around the year 880 and was met with much success. Thus the presence of the Orthodox Church in Poland (the Greek Church) dates to the year 880. Though the Polish rulers, since the conversion to Roman Catholicism of Prince Mieszko I in 966, have always shown political favoritism toward the Roman Catholic Church and the Polish Orthodox Church was frequently persecuted, it is estimated that during the rule of the Jagellonian Dynasty in Poland (1386-1572), as much as half the population of Poland was Orthodox. A serious attack on the Orthodox Church was the „Union of Briest” (1596), in which King Sigismund III, by royal decree, ordered all Orthodox Christians to convert to Catholicism and decreed the Orthodox Faith illegal. As a result, Poland was thrust into a state of religious civil war, which ultimately resulted in Poland’s political annihilation in 1795. After the reestablishment of the Polish State in 1918, there were still more than five million Orthodox Christians in Poland. The Orthodox Church was made to suffer much persecution and discrimination from the interwar Polish government, the Nazis during the Second World War, as well as from the post-war Communist government. At the present time there are less than one million Orthodox Christians in Poland, (there are variant estimations, with a median of eight hundred thousand) which means that the Polish Orthodox Church is the second largest denomenation in Poland (after the Roman Catholic Church). The primate of the Polish Orthodox Church is His Beatitude, the Metropolitan of Warsaw and All of Poland. Since 1998 the metropolitan is Metropolitan Brigadier General (retired) Professor Habilitated Doctor, SAWA (born Michał Hrycuniak in 1938). The Polish Orthodox Church has seven dioceses in Poland, including one diocese providing chaplaincy for the Polish Military Services. The clergy in Poland, consists of eight bishops, approximately 400 priests and 40 deacons. The Polish Orthodox Church has eight monasteries (5 male and 3 female) with over a hundred monks and nuns. Furthermore, the Polish Orthodox Church maintains several dioceses and parishes outside of Poland, in Portugal, Spain, Brasil and Italy. The Polish Orthodox Church operates the Chair of Orthodox Theology at the University in Białystok and the Section of Orthodox Theology at the Christian Theological Acadamy in Warsaw, both of which are state operated schools of higher education. Furthermore, the Polish Orthodox Church has its Theological Seminary (for the education of clergymen) in Warsaw; a Post-Licentiate School of Orthodox Iconography in Bielsk Podlaski; and a School of Orthodox Conductors and Choir Directors in Hajnówka. In Poland, religion is taught in schools at the primary and high school levels; for this reason Orthodox religious instruction is taught, by the clergy and Orthodox religion teachers, to Orthodox young people in their schools. The Polish Orthodox Church operates 26 centers of social care and old age homes, as well as, 24 Centers of Orthodox Culture. Each year, the Polish Orthodox Church organizes an annual international competition of Orthodox Church choirs in Hajnówka called „Orthodox Church Music Days in Hajnówka”; it is the world’s foremost international festival of the genre of Orthodox Church Music and Culture. The Polish Orthodox Church operates a Fellowship (Brotherhood) of Orthodox Youth with a central organization office, diocesan offices and local chapters in each parish; the Fellowship of Orthodox Youth of the Polish Autocephalous Orthodox Church is a member of the International Orthodox Youth Association „Syndesmos”. The Polish Orthodox Church operates an Orthodox Sports Organization of the Republic of Poland, with a central organization office, diocesan offices and local chapters. The Orthodox Sports Organization of the Republic of Poland operates two Orthodox Sports Clubs. The Polish Orthodox Church also operates its own printing press with a variety of annual, quarterly and monthly publications. Orthodox chaplains provide religious chaplaincy in hospitals, social care centers, prisons, orphanages and other centers, according to the need. The Polish Orthodox Church is an active participant on all levels of inter-Orthodox, inter-Christian, inter-faith and inter-national cooperation. The Polish Orthodox Church is an active member of the World Council of Churches, the European Council of Churches, the Polish Council of Churches, Theobalt, the Baltic Ecumenical Council, and others… The Polish Orthodox Church is an active member of the Theological Diologue Commissions with the Roman Catholic, Old Catholic, Anglican, Evangelical Lutharan and other churches. The Polish Orthodox Church, also maintains active relations with the Government of Poland on all levels, as well as with the Diplomatic Corps accredited to the Republic of Poland. a real 767 is just a thin walled hollow aluminum tube with a plastic nosecone - a giant flying beer can - and would have squashed against the side of a massive steel WTC like a regular beer can beneath a boot heel. but that is not what we were shown on TV - we saw several views of an alleged plane gliding entirely into a tower like casper the ghost. the media is just as complicit as the military. if you “moderate” (remove) my previous comment then you reveal yourselves. What are the ‘Aviation expert” saying about the Chemtrails? so what happened to those that were killed on the planes that day. Explain to me where those plp went. Maybe what we thought of those 2 planes that hit the towers were the ones that crashed in Shanksville and pentagon. If so it’s one hell of an illusion! I’m a middle aged jewish guy, married with 2 kids, trying to earn a living and enjoy life. How is it that we are soley responsible for any and all problems in the world? I barley have time to get home and play with the kids, do lawn work and have dinner, let alone manipulate the worlds financial markets and control the media. hey what if the alleged 9/11 passengers were fictitious? it would be a simple matter to print up some phony manifests. in fact, a search of the BTS data base(bureau of transportation), even as late as ‘06 revealed that neither flight11 nor flight77 ever left the ground that day. when this was pointed out to the BTS they hurriedly changed it. thank you, moderator, for not “moderating” my previous comment. Then I don’t trust the Polish Orthodox church. Anti-Christ Brezinski has high level contacts in the Polish government and the director of many senior Polish organisations in Poland. I have enjoyed reading your info on Russian history in previous posts. Did you get it from a specific website? If you are a Zionist/Jew you need no explanation. If not your explanation will be found in the New Testament. I apologize that was rude of me. But please do seek your answers in the Bible. Dear David, we are all here present in this FORUM to expose the darkness to the light in order to help to lose its power, also to help one another and not to point at each other, so, if you are an open mind person you will understand everything from the beginning to the end but you need to invest time in reading some books and some good TRUTH teller sites like BN’s one. So, I am willing to answer your question. Are you a real jew or a self styled one ? Are you a follower of Torah or Talmud or Zohar? While I believe something hit those towers I do not believe they were the exact airliners the government says they were. The most logical explanation in my opinion is some other planes were flown via remote control, the command/control center was WTC 7, these remote airliners were outfitted with missiles that launched just prior to the planes hitting the buildings as clearly demonstrated in the video of the second plane hitting it’s target with the squib flying halfway across the screen. Regarding the supposed passengers of these planes, who really knows what happened to them or if they even existed in the first place. Operation Northwoods, which appears to have been written by a foreigner due to the term “on holiday” which isn’t even used in the US, is evidence enough that a certain group was more than willing to drop names on a list and pass them off as being real to get the wave of indignation needed to wage war. Regarding cell phone calls from these planes, it was impossible to use one in 2001 so those cell calls are fictitious. It wasn’t until about 2004 that a cell company and AA got together to test technology to make cell phone use on planes a reality. I just happened to catch the story one day while on the couch, what a good day that was to be a couch potato. The flight lists that were put out by CNN soon after 911 reveals not one Arab on any of the planes. Of course, the government put their names on the list and even gave them seats in the Moussaoui trial. Judge Mukasey and the Mishpucka have done all they can to end every lawsuit outside of court so none of them will go to trial. If one, just one of these lawsuits goes to trial, the evidence will come forth but do any of those left have the courage to take it all the way? Anywho, I have no doubts left that it was a complete zionist job. No plane hit the Pentagon and no plane crashed in Pennsylvania. Hey David what is your occupation? The thing I would have to say is do you go to Temple? If you do and they haven’t kicked you out yet for screaming that Israel today is no different than Nazi Germany in 1939. Herein the problem lies. These people (jews etc those under the control of Satan) can only get away with their evil when we fail to expose their evil deeds. I can empathize with your busy schedule and your taking to your lawn and caring for your wife and kids and denying your participation in the control of the mainstream media but I cannot let your conversation stop at that point. If you support the lies and obfuscation of the mainstream media, and if you support israel and their eternal and obnoxious dream of ruling the world from a little plot of land that they have unrighteously stolen and confiscated from the Palestinian people then you are my enemy! If you are a torah or old testament worshipping jew then you and I share some common ground and if you believe in the constitution of the United States then I will defend with my life your right toworship as a jew and you may consider me an absolute friend. If you reject the talmud which equates my Lord and Savior Jesus Christ with excrement and claims he was born by his mother Mary, who the talmud claims was a whore, then I am your friend. I appreciate your remarks and hope you can place an interpretation on, and appreciate mine! Hoff: This is hollow “knowledge”. A 767 weight empty is 170.000 lb, 80.000 kg. That is 80 tons. That is more than a fully loaded truck. Maximum take-off weight is 140 tons. That is the weight of three fully loaded trucks. WTC was not “massive steel”, WTC is just like a 767, a hollow fuselage but with a glass skin, reinforced with beams. A 767 or any airliner for that matter have a mose cone made from plastic? That was new to me. To my knowledge the whole fuselage is aluminium, reinforced with beams. I actually know a person that repairs airliner fuselage. I will ask him and get back on that. Meanwhile james ha can look up: Beam. To james ha: Take three fully loaded trucks and show me the glass that could take a hit from three fully loaded trucks, 140 tons with the speeed of say 500 km/h, 300 mile/h and not break. That glass don’t exist. If you take a Cessna, maximum take-off weighy, just over a ton, the size of a small car, and hit WTC at top speed, the glass fuselage of WTC just might hold and the Cessna would be squashed. Anything bigger than a Cessna will break the glass. THIS IS IT!!! This is the O-N -L-Y video you have to watch on 911. Listen good to Robin Hordon. He is rare, he is a ATC, Air Traffic Controller. There is maybe one ATC to every 100.000 people or so. He knows what REALLY should happend 911. Listen good to him and then watch the animation o1:00 very closely, it’s short, just a few seconds. You see the fighter flipp-flopping? Do you know what that mean? Most people do not know, but this is fighter pilot language for: YOU GO DOWN AND YOU DO IT RIGHT NOW OR I WILL SHOT YOU DOWN! This is the fighter pilot job, to take command over the sky and it’s his duty to ground any airliner that don’t behave as supposed. This is why the air force is there in the first place, to control the sky. The hijacking is not the problem, the problem is that no fighter intercepted the hijacked planes 911. Why diden’t any fighter intercept the planes 911? Because Rumsfeldt had grounded the fighters three month before 911. If the fighters was scrambled 911 they would have flipp-flopped and if the airliner refused go down, they would be history and 911 would never happend. ZERO : An Investigation Into 9/11 - PART 6 of 10. The only video you need to see and understand on 911. Craig wrote: Regarding cell phone calls from these planes, it was impossible to use one in 2001 so those cell calls are fictitious. It wasn’t until about 2004 that a cell company and AA got together to test technology to make cell phone use on planes a reality. I just happened to catch the story one day while on the couch, what a good day that was to be a couch potato. Hoff: Well, I have personally posted a comment on internet from a helicopter 100 meter, yard up in the air. The cell phone mast can to my knowledge transmit the cell phone signal at least 15 km, 10 miles. An airliner travells at 33.00 feet, that is 10 km or 6.2 miles. I can’t find any reason why that call was impossible. But you maybe know something I don’t about cell phone? Please explain why it’s impossible. But that really dosen’t matter. The only thing that matters is why diden’t US Air force scamble fighter 911? ZERO : An Investigation Into 9/11 - PART 6 of 10. The only video you ever need to watch about 911. They didn’t even NEED “Global Hawk” in the planes, because Boeing 757s and 767s CAME equiped with that already INSIDE the plane’s controls! That’s why the German’s airlines took OUT the software from Boeing, and put in their own! It was sold as “a feature” so the airlines could take over any plane that had been hijacked, and fly it safely to the nearest airport. Pilots stood by secretly ready to take over any plane that might be hijacked for years before 911 happened. Remember when Air Egypt flt 990 went down? It was the Mossad taking over the plane with this equipment from another plane. That flight had a bunch of Egyptian generals on it that Israel wanted dumped into the Atlantic. So down went all those innocent children who were on the flight because murderous Israel wanted the generals killed. And you thought that Israel believes in the Old Testament, or that it has a “religion?” Their only “religion” is money and Satan, and they only serve him. Why do you think they’ve been killing all those Arab Christians all this time? Only two flights flew on 911. The two that hit the WTC. Flight 77 was a fraud because 3 cruise missiles hit the Pentagon and you can SEE the three “punch out” holes INSIDE the Pentagon where they came out. Flight 77 was NOT schedlued to fly that day according to the Transportation Department’s web site. United 93 was also a fraud because there is NO airplane crash in the empty field in Pa.
No Arab names were on any of the passenger lists. No Arab had anything to do with 911 and when “Christian Talking Heads” tell you that Osama bin Laden did 911 they are breaking the 9th Commandment, for that big fat paycheck from their Zionist masters like Rupert Murdoch. Guys like Sean Hannity and Bill O’Reilly are in big trouble with God. Rupert Murdoch is already going to hell for lying about Arabs. 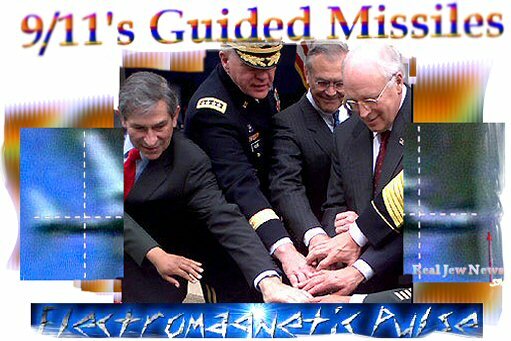 See my web page for George W. Bush’s admission that he saw “the first plane hit the first building” BEFORE going into the school house that day. That means he had a camera aimed at the WTC IN ADVANCE WAITING FOR IT TO HAPPEN! Wake up people, this was done by Ariel Sharon and George Bush. It goes all the way to the top, and that’s why my wife and I just heard a phone ring under the chair in our bedroom, and we don’t HAVE any phones IN our bedroom! We also heard a cell phone ring under our dashboard in the car the other day. When Ariel Sharon ordered his Mossad to do “Targetted Killings” in America, he knew there were NO “Arab Terrorists” in America to kill, only American Christians who caught onto what they did! When you look at the WTC blowing up, you can SEE the Mushroom Cloud from the “4th Generation Low Radiation Atomic Bombs” going off, and I ask you, where did those clever “Arabs” get hold of Atomic Bombs? How did Osama bin Laden get the Launch Codes to launch the missiles that hit the Pentagon that day? Only Zionist Jews had access to those Launch Codes. This is a “religios matter” it is the great battle between God and Satan, and it’s nearly over. All my fellow “Christians” now believe in the False Rapture Doctrine that has no support in the bible, but it does teach that a Third Temple must be built in Israel BEFORE Jesus Christ can return. For a “Christian” to support such madness, would be the total REJECTION OF THE BLOOD OF CHRIST! That’s why Rabbi David Feldman wanted Mel Gibson “arrested as a terrorist” for making the film “The Pasion of The Christ.” Zionist Jews still HATE Jesus Christ and His true followers to this day, and the same Pharisees who murdered Christ are still in power today. Tens of millions of Christians are being taught that the wicked will be “Left Behind” when in fact those Apostate Christians and Apostate Jews will all be right here in the middle of the trouble like everybody else. They are all going to hell together. I’m not quite sure how to respond. I am a conservative jew, attend the synagogue far less than I should and beleive that Israel needs to exist in harmony with it’s neighbors. I am no hebrew scholar and really don’t know the old or new testament well, except for the most common ideas referenced in the general public. I do feel this. The world is an ancient and mystical place. There have been guides left for us by those that have come and gone before this generation. Perspective is reality and the whole of mankind will never probably see things all the same at the same time. If Israel truly desires to control the world, that I do not support. I am in the manufacturing business. We make and sell safety equipment. nonsense. the laws of physics apply to every thing on this earth. this means that if the lightweight hollow tube (with a plastic nosecone) of a real 767 were to strike a massive steel WTC with a force equivalent to X, then the massive steel WTC would also be striking the aluminum tube 767 with the SAME force equivalent to X.
research the construction of the WTC and realize just how massive and how closely spaced together those steel columns actually were. do you suppose that a 140 ton water balloon could penetrate the massive steel columns that were spaced @ 2′ centers that comprised the WTC? how about a 140 ton blue whale? again, a real 767 is designed and built to be as lightweight as possible in order to even leave the ground - the first 80′ of it is indeed a lightweight hollow aluminum tube with a plastic nosecone - in what manner would it penetrate the massive steels of a WTC? again, look at the actual videos (in slow motion no less) that we were shown by the TV media of this event. TV fakery was easily produced even in ‘01. well, that means you are just a tool of the self styled jew and they won’t help you to know the TRUTH unless you search for it on your own. Acording to judaism you are forbiden to read the New Testament (just to let you know). The question is WHY? Because the jews fear CHRIST and HIS teachings and especially the fact that HE declared Himself GOD for you David as for the rest of us in this world. HE is our CREATOR.Amen! Again, I am willing to help you, if you have years to listen. This WORLD is nothing more than a battle field between CHRIST and LUCIFER ( a fallen angel that has the desire to dethrone GOD). David, after you watch the above videos, please come back and ask questions thats the way you learn. ORTHODOX FAITH- is not called Religion and is the ONE that preserved the TRUTH incorupt from 2000years until TODAY. RELIGION -is a MAN made. You fing the TRUTH in the ORTHODOX FAITH ( also known as the Eastern CHURCH) ONLY, the rest of the denominations are being corrupted. WORLD COUNCIL OF CHURCHES ( ECUMENISM) 1948. I hope you will find this message useful. The only ‘Christians’ who seem to be obsessed with denying the biblical doctrine of an imminent resurrection or rapture of the church, the body of Christ, prior to the revelation of the antichrist, seem to be the ones who lack real faith in Christ and hence have the greatest fear of being “left behind”. Enoch “walked with God” and was “translated that he should not see death”, when God “took him” (Gen. 5.22-24; Heb. 11.5); and Elijah was caught up into heaven in a chariot of fire, and appeared later on the Mount Hermon with Moses, when Christ was transfigured. Philip the evangelist was “caught away” by the Spirit of God, when on an outreach mission, and was later found at Azotus. Like their master Satan, the leading Jews are thoroughly conversant with the New Testament, because they know it’s the manual of the people directly opposite to them. So the Hollywood Jews have been commissioned to make films about alien abductions to make people think Christians have been removed by evil entities because ‘they’re evil’, when they’re raptured shortly; or alternatively because they’ve been raptured by God because God wanted the Jews to be free to get on with their evil agenda of antichristian world control. No doubt the antichrist himself will stand up speaking “dark sentences” shortly after the Christians have left the planet, and even try to sell the dupes of Satan the lie that the event didn’t happen, just like there are dupes of the Jews out there now who believe in ghost planes on 9/11 and scheduled flights that didn’t actually take place. “resurrection or rapture of the church” you said. PAL, there is going to be NO RAPTURE. RAPTURE IS A MYTH that will mislead a lot of Christians from a lot of denominations. ORTHODOX CHRISTIANS DOES NOT BELIEVE IN RAPTURE. Tuesday, Sept. 11, 2001 was - coincidentally I’m sure - also the JEWISH NEW YEAR ! That’s right ! ROSH HASHANAH, or ‘the Day of Judgement’ - was on 9/11 ! THAT must be what the ‘dancing Israelis’ were celebrating ! The pilots and passengers were taken to Wright Pratt AFB and boarded the plane that was shot down in Penn. The wings fold back against the fuselage on impact leaving no impression on the building, and the mass of the plane, which is largely with the machine steel, is reduced to a relatively small circumference on impact at very high speed, making the penetration into the building and the single punched out hole at end of the trajectory inside building looking like a missile has struck it. Like the flights that hit the WTC, the Pentagon building was hit by a hijacked commercial airplane under auto-pilot/remote control via Satcom data and probably using laser painting. Flight 93 was shot down with a heat-seeking sidewinder missile from a NORAD jet, that knocked out one of the planes engines and damaged the fuselage, forcing the hijackers to abort the strike on the Capitol building and ditch the doomed plane in the ground at Shanksville at nearly 90 degrees, embedding the heavy material of the aircraft deep into the turf. Like the 77 flight, the wings of the 93 flight plane folded back on the fuselage on impact at very high speed, again leaving a relatively small circumference of impact. This is distinct from the impact on the WTC towers, which shows the outline of the planes, because the facade of the building was largely glass and not solid like the Pentagon building or the turf at Shanksville. You can even see the heavy steel of the 175 flight punched right through the WTC tower, and coming out the other side ‘like a missile’, in some of the videos, confirming the reason for the single hole punched at the end of the trajectory of the 77 flight deep inside the Pentagon building. There is no pentration of the simulated concrete wall of the nuclear power plant in the video because it’s real thick and reinforced, just as there is complete penetration of one of the WTC towers, some penetration of the Pentagon building, and, of course, virtually no penetration (maybe twenty feet, I forget how much now) of the turf at Shanksville. This should clear up what I was saying as well as assist you in figuring out why no planes were scrambled, atleast you’ll now have these documents in your posession. It’s rather interesting how the side hit on the Pentagon had been under construction for some time at that point. Also interesting how evidence was removed from a crime scene before any investigation had taken place. I also find it interesting that at both the Pentagon and Shanksville there was not one photo of any seats, luggage or passengers; nothing one would expect to see from a plane crash. Anyone can go online and look at pictures from plane crashes and see how much is left behind but not at the Pentagon and Shanksville. Computer simulation is crap, it is used to fill in the gaps in the story already decided upon. If someone wants a plane to disappear into the Pentagon because that’s the story that’ll be pushed then computer simulation can make that happen and even make it plausible. But it’s not reality, it’s fiction and it’s there to mislead people. Look, no Boeing hit the Pentagon, just as no Boeing crashed in Shanksville and if there were Boeings that crashed in both locations, it’ll take alot more than computer simulation to convince me of that. I need to see some luggage, some black boxes, some wings, some engines and everything else that comes with a typical plane crash. While every other plane that was crashed is pieced back together in a hanger to figure out what happened, this didn’t happen with any of the four planes that supposedly crashed that day. If they were telling the truth, there would be nothing hidden. David ~ You really sound like a good guy, and it’s CLEAR from your comments that you have NO IDEA what it means when you say you are a jew. A REAL JEW would not reference The New Testament, as you have. THIS IS A GOOD SIGN ! I feel you are close to being saved, and I want to help ! Please Visit : Come-and-Hear.com, and when you’re done - please return here with the good news ! That You NO LONGER wish to be known as a jew ! David ~ Just to be clear, the site : Come-and-Hear.com is dedicated to the study of the Jewish TALMUD. If you take the time to read through what is presented there, then you return here STILL calling yourself a jew… then I will admit I was wrong about you. Though I have a feeling the info there may shock you ! It shocked me, and everyone I tell about it wont even believe me ! Contrary to NIST & the US Government, there is overwhelming evidence to conclude that the planes seen on TV were the result of SFX special effects (TV fakery). Many try to suppress this obvious fact, but to exclude other theories out of hand w/o examination is not only disingenuous, it’s simply denial (a defence mechanism) and only results in a misinformed, skewed opinion. There were no planes entering the WTC Towers on 911. Perhaps all the related films about 911 produced before and since were made to condition the public into acceptance of the official “planes” fantasy. Any discussion of planes on 911, passengers, hijackers, etc. all continue to help keep the fantasy alive. Believing the government’s fairytale of planes colliding with the Towers is the main problem w/ fully understanding 911. 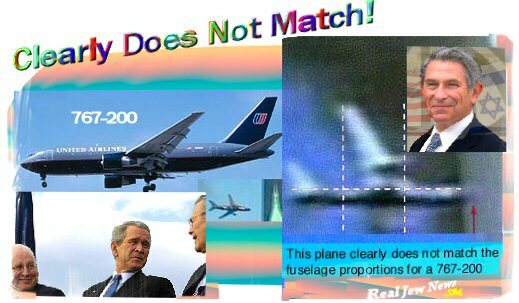 The media was broadcasting fake, manipulated images of planes. Superimposing a plane on 911 could have been accomplished with Wescam technology; it provided a single “live” feed from which all the TV networks broadcast. Other videos & images started to appear in the days, weeks & months following 911. All of them have anomalies & impossibilities which can only be explained by excluding planes. During the South Tower “impact”, fake TV footage shows a WTC Tower sealing itself around the plane during the alleged penetration. Still another too incredible to believe anomaly is the width of the plane’s purported gash didn’t match the width of a Boeing 757’s wing span. Another widely publicized video shot by Scott Myers shows the forward fuselage of the “jet” exiting the South Tower, though other shots later reveal no exit hole. To consider the media footage showing a plane slicing thru steel and concrete as reality is ludicrous. There were no planes; only spoofed images, manipulated witnesses and falsified evidence. America please wake up; the media was a complicit partner that was in on the crime from the beginning. In fact, the TV psyop 911 couldn’t have been pulled off without the mass media’s assistance. Actually “no planes on 911″ is the only explanation that makes any sense. There are far too many disturbing questions left unanswered which only TV fakery can address. Besides all the other impossibilities mentioned, why are there several “hijackers” still alive; some are even suing the US government to recover their reputation and stolen identity. Why have so many of the purported plane “victims” not been listed in the Social Security Death Index? …and their families not claimed their death benefits. …then navigate a large Boeing jetliner above the clouds all over several states without airport tower assistance, with nav systems & radios turned off, and fly with pinpoint accuracy into a building that they couldn’t even see? It’s common knowledge amongst pilots that a Boeing 757 cannot fly at 500+ MPH at sea level - the air is too thick. That’s an airliner’s cruising speed attained at high 30,000+ ft. altitudes. You can call Boeing; even they admit that - and they have been recorded in phone conversations recently saying so. When an airliner is close to the ground it’s either taking off or landing. If forced to throttle to cruising speed at low altitude, it would break apart in mid-air. Exposing “no planes on 911″ is probably the most important story to people beyond chemtrails, depleted uranium poisoning and nanotech genocide. Americans are TV hypnotized, drugged up, dumbed down and so utterly dependent that in general they are incapable of critical thought and are disinterested in discovering how the media is adversely affecting their lives. With so much evidence pointing to collusion between the military industrial complex, the US government and especially the media, very few have sought relief in the court systems, or via conventional mass media. Morgan Reynolds has filed numerous suits in federal court to no avail. His latest attempt and subsequent appeal were both summarily squashed before having even been properly heard. You can read the details on his website. If one seeks only that evidence which fits the official explanation, then that is what you will find. That’s not science, it’s not objective thinking, it’s not even good common sense. It is impossible in the real world for a plane to behave in such manner as per the official account. So long as you continue to deny that one simple concept you will be forever lost in endless pursuit of an answer that will never come. TO EZ : Watch the French Firemen Documentary (the one that shows the first plane hit) - in which the camera is centered on three, or four men. When the plane screams past overhead - before the camera pans - ALL OF THE MEN LOOK UP AT THE PLANE ! And Speak of it later… So if there were no planes - then WHAT were they watching fly by… Smart Guy ? ~~ TRUTH ONLY HERE ! No planes hit the Twin Towers huh? See this web page for the remains of flight 175 showing windows in fuselage. It wasn’t even a drone or military aircraft. It was Flight 175. It’s pyschos like you and Bollyn that suit the Jews’ agenda of throwing truthseekers of the trail of the Jews as the perpetrators of the 9/11 event. You’ve proved that there’ll be dupes of the Jews that’ll buy antichrist’s lie and deny the resurrection after it has taken place, and be “left behind”. Well, you sure bring up all the ‘official version’ propaganda don’t you bear. Now you’ve shown everyone the article that Benjamin Chertoff contributed on for Popular Mechanics. A picture with some pieces from some plane, nothing there that would lead anyone to believe it is the plane we’ve been lead to believe it is, and somehow this is proof that it is indeed flight 175? One picture and some quotes with no source given? This PM article is pure garbage, a heap of lies and distortions. To Craig : He wasn’t trying to prove it was Flight 175… he was offering proof that there WAS A PLANE… it doesn’t really matter WHICH plane it was… the photo shows part nf a plan in the WTC wreckage, so all these NO PLANES people are DELUSIONAL ! ~~~ Again, see #19 above. You’ll notice that even the colour of the United Airlines Flight 175 fuselage is the same as the piece of the fuselage that sheared off and landed on the roof of 5WTC as Flight 175 sliced into the South Tower at an angle. There are some other pictures of that piece of fuselage on the roof of 5WTC on the net, taken from a different angle and at a greater distance that put the event better into perspective and make it even more plausible. james ha: research the construction of the WTC and realize just how massive and how closely spaced together those steel columns actually were. do you suppose that a 140 ton water balloon could penetrate the massive steel columns that were spaced @ 2′ centers that comprised the WTC? Hoff: You are in a house, look around you, what do you see? Walls, ceiling and floor. If the house is made from wood or steal it has studs, vertical, and beams, horizontal. That framework is what is what makes a building stand. Take any building and the framework is less than one percent of any buildings total volym. WTC was not “massiv steel”. james ha: nonsense. the laws of physics apply to every thing on this earth. Huss: I don’t want to be rude and this is not personal at james ha, but I will prove that james ha is a little to smart for his own good. If I take a basboll bat and hit james ha hard over the head, there will be NO “opposite reaction”. If you take 140 ton of water, plastic, aluminium, steel, wood or whatever and smash that stuff against a skyscaper at say 300 mph, 500 km/h, the THIN layer that are the faced of a skyscaper will crack. There are a lot of conspiracy stuff about WTC and that it was not planes that hit the towers. That is utter nonsense. The hits are on hundreds, if not thousands videos on the net. The planes are filmed from every thinkable angle, except from above. They all show very clearly that it’s planes that hits the towers. If you take a small Cessna and hit the towers at top speed, maybe, just maybe the tower would bounce the Cessna off, but anything bigger than that at hig speed will crack the THIN surface of the tower. Period. I have no doubts about planes hitting the towers but do have doubts about the planes the ‘official version’ says hit those towers. This whole business of pods and missles on the underside of the planes that hit the towers is lunacy. Bro Nathanael is not saying there were pods on planes, he’s just throwing the thing open to discussion as a hypothesis. You can find dozens of photos on the net showing what look like “pods” under ordinary commercial passanger aircraft, when they’re just part of the actual design of the thing, or photos lacking the resolution to show things clearly. Photos of ‘pods’ on planes on 9/11 are just poor resolution snaps; and the “pods” are just the way the light is relected from and/or falling on the glossy underside in the area where the wings connect to the fuselage. YOU CAN SEE IT on some of the close-ups, like one of the ones I’ve posted below! Jews connoct and spin these conpiracy theories about 9/11, because they know you don’t have to be much more intelligent than an imbecile to know that there’s no mystery about 9/11. The Jews did it in collusion with the US Federal Government and its agencies to get opium and oil in the Middle East for the Jews and dollars for Bushco through Carlyle and other outfits, and a geopolitical advantage for the Jews and all the rest. The fall of the WTC was a Jew contrived US Federal Government endorsed and assisted demolition job, using mini nukes and superthermate in the towers and superthermate only in 7WTC. The pods on planes lunacy deflects people from the real issue, which is THE PEOPLE WHO DID IT, not how it was done, or if it even really happened … huh? And it leaves the ordinary American with a deceitful heart with a way to get out of actually confronting the Jews in America for complicity in the atrocity of the day. If you check it, you’ll find the Jews do the same thing every time there’s a major Jew op on. They did it with JFK’s assassination and they keep doing it. They keep using the same format after the event; first providing patsies and scapegoats for the event, and then perjured persons to lie about it, and then conflicting (falsified) evidence, and then denying the established facts, and even sometimes saying it was a hologram or something and didn’t actually happen, etc, etc. Bear, I can care less if you think it’s lunacy to suspect missiles on the planes that struck the WTC. It matters not if you doubt that. If they have the power to wire those buildings up with explosives, to possibly include mini-nukes, then they have the power to outfit some boeings with missiles, replacing the original flights and commencing the attack. This operation was controlled thoroughly, years of planning, alot of people in key positions throughout numerous governmental agencies, control of the media and you think it’s lunacy that they could get missiles on some boeings and launch them from the belly? There are companies, Israeli companies at that, in America that re-fit planes all the time and don’t think for a minute they wouldn’t do that to ensure their ‘decoy’ looks as plausible as possible. When looking at a crime of this magnitude, one must look at everything and nab all the criminals, not just the ones they think are involved but all of them. Chris Bollyn has more suspects than anyone else I’ve seen so to suggest he’s trying to lead people astray is ridiculous. Nothing is out of reach in a case like this for the enemy is capable of doing whatever it takes to get the job done. Intelligence agencies are owned by the same group of people, it matters not what people wish to call them, ie cia, mi6, mossad, isi, etc. The cia was running an operation similar to 911 that same morning, as were numerous other agencies in the government. What a nice cover to get everyone confused while the enemy went to work. This site is an eye-opener for me and I was not aware that it existed. I have been blined from the Truth for all of my life due to extreme censorship of school textbooks, publishers, TV stations,(PBS, TLC, NOVA, Discovery, Scientific American, on and on, video documentaries), movies, newpapers, magazines, radio,etc…. I am extremely angry about this censorship. I see it all very clearly now, starting only a few years ago, starting when I read the book “Jewish Supremicism”. I have a lot more reading to do on this site, and learning, to add to my disgust about being lifelong duped and deceived. Endless thanks to the originator of this website for exposing this otherwise extraordinarily censored American & World history and current events. Keep up the incredible work, but you need, somehow, to get it to all of the people of the USA and the World…. The damage to WTC’s 4, 5 and 6 visible on high resolution photographs reveal multiple cratering, one concrete panel inside the devastated WTC 6 appears to be partially vaporized, a shallow concave surface defining the event horizon of the thermonuclear fireball. As the second jet rammed its target, “that was an explosion,” says Stephen McArdle, a tax consultant from inside the Marriot Hotel, he was taping as part of an FBI sting operation, then comes a longer and much louder explosion, the second explosion was thought to be the detonation of the missile’s warhead. Full story with great pics @ http://www.dockersunion.com/phpbb/viewtopic.php?f=7&t=21 read on!! Dov Zakhiem, a rabbi and US/Israeli dual citizen, was comptroller of the Pentagon during 911. At the time he was CEO of SPC (Systems Planning Corporation), which, among other things, created a system for remote controlling aircraft- in fact, their flight termination system is capable of over-riding pilot control from the ground. This system has been installed on a group of KC-767’s- military midair refueling aircraft. The flight paths of the two planes that hit the towers crossed directly over Stewart airport/airbase. The airport was the first in history to be privatized, and this occurred shortly before 911. The airport also serves as a Marine airbase. The KC-767’s fitted with the FTS were for the Marines. That about sums it up, and all of the details and sources for this are freely available, but I’m in the middle of hurricane Sandy right now so I’m keeping it short. Keep up the good work brother. Yeppers. 9/11 = first use of large size aircraft outfitted as drones. Thermite did the rest. Yep. Drones followed up by nano thermite are what took the towers down. Methinks that the Aio’s will not give up and rest until all of humanity (non-chosenites) will be enslaved and their dream of ruling the world with an iron fist is realized. GOD save us all from their dreams — our nightmares. Amen. 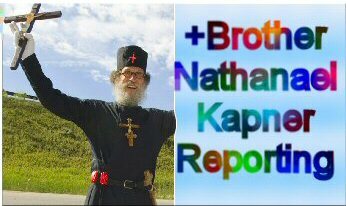 Thanks again for your hard work to bring out the truth, Bro Nat. Israeli Zionist should not have done 9/11. Now the Zionists are running around trying desperately to hide their tracks. Israel as we know it is on borrowed time. Don’t be to surprised if America does the honors of removing the little parasite itself. Israel is no more then a sophisticated Terrorist organization living off the back of unsuspected American Taxpayers.